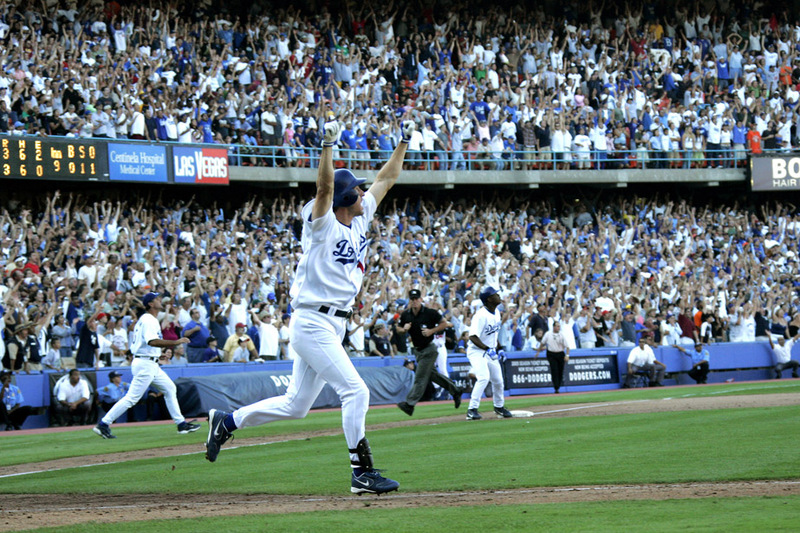 Fast forward now to a Sunday night in May, 2012… 27 years later the SON OF THE BLANK BLANK Van Slyke finds himself wearing the Dodger Blue. Having been called up from Albuquerque, the rookie finds himself in a pinch hitting role in the home 7th, with The Blue trailing the Red Birds 5-3. With 2 on and 2 out, at the plate with a 3-0 count, Drei here tells his buddy Josh ” The rookie ain’t swinging on a 3-0 pitch…”. You really don’t think the rookie is swinging away at a 3-0 pitch, do ya ? Does Curry continue his quest for a repeat ? Will Russel Westbrook have something to say about that ? NLCS Show Down at The Show Me State…. 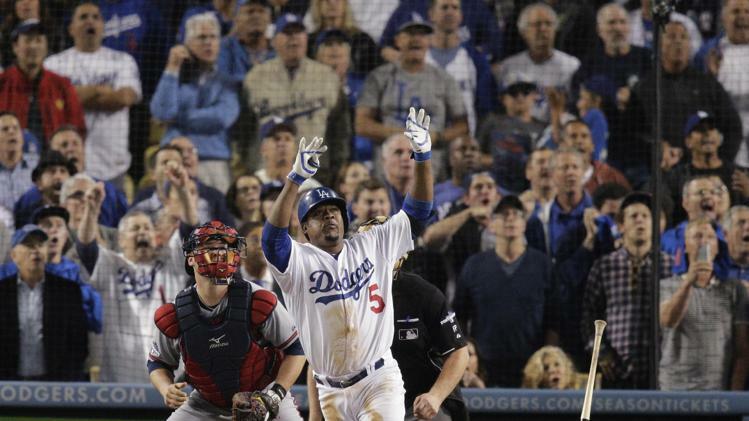 OK, for the 4th time in post season history, the Dodgers and Cardinals will face each other . The Dodgers had a slight edge over the Cardinals in the regular season, winning 4 out of 7, with the visiting teams winning their respective series. How much of an advantage either team may have on one another, who knows ? So how do the Dodgers and Cardinals matchup heading into the NLCS ? We do know that this time around both teams will be coming into this series at their best unlike during the regular season, when the Cards took 2 of 3 at Dodger Stadium back in May as the Dodgers we’re still mired in their early season funk and the Dodgers took 3 of 4 at Busch Stadium in early August when the Dodgers we’re at the height of their post all-star break run while the Red Birds we’re experiencing a swoon of their own having lost 13 of 18 during that stretch…..
Oh how things have changed much since late May. Let’s see…. Hanley and Greinke we’re still on the DL, Puig had not arrived yet, the offense was in a funk, and who knew what was up with Matt Kemp. Yeah, Kemp won’t be able to contribute, but hey, The Blue found a way to make it this deep into October even without Matt making a significant contribution. Thing’s we’re so bad at the time, the fans we’re getting frustrated, and the “frustration” would reach all the way up to the Top Deck between me and my buddy J on this Sunday afternoon in late May against the Cards…..
Rally Time From the Top Deck…5/26/2013 from Good_Drei on Vimeo. Allright J, so you did say we’d snap out if it after the all-star break, we actually snapped out if it just before the break, and Dre to this day still thinks you ” jinxed ” Matt Kemp…. J !!!! LOL…. Even though the puck has been dropped to start a new season in the NHL, the Kings of the Staples Center ice show their support for their neighbors up 110…. 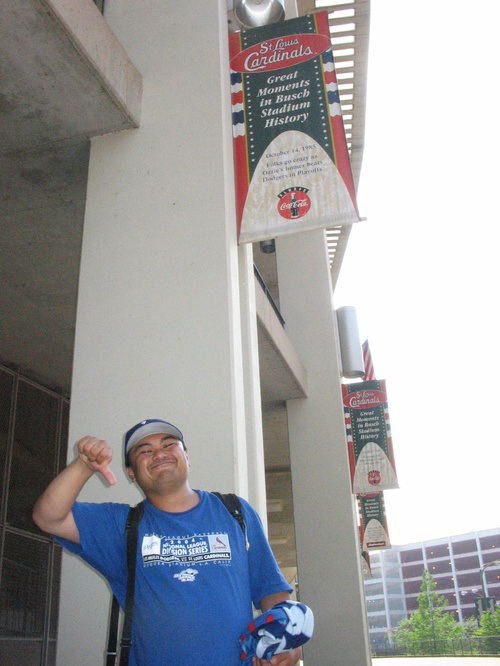 This was on Dodger Pride Night last season. Speaking of the L.A Kings , who out there is going to outdoor stadium game against Anaheim come January ? 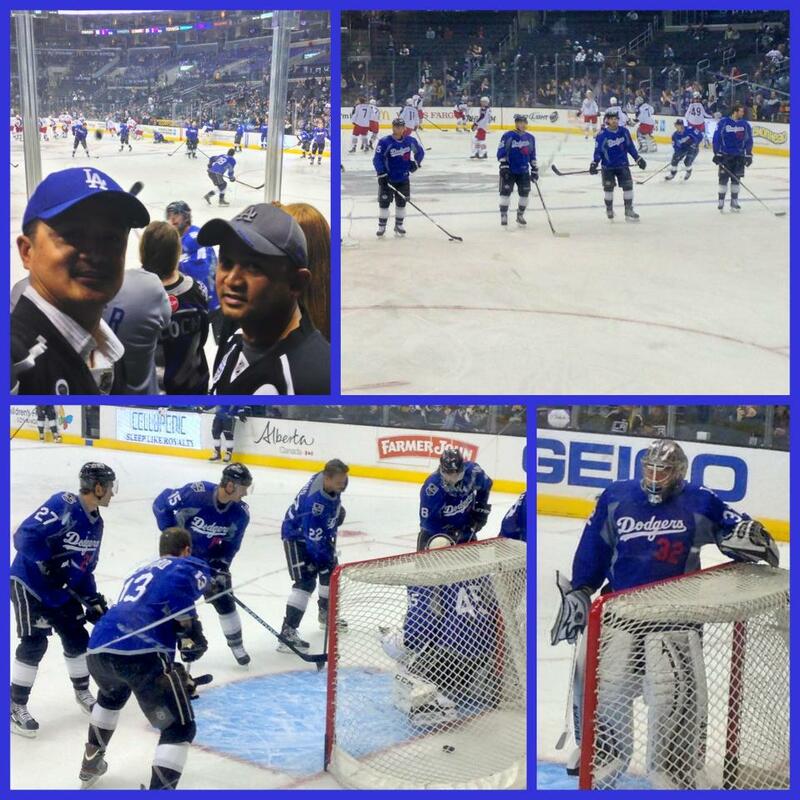 Hockey Night at Dodger Stadium !!! 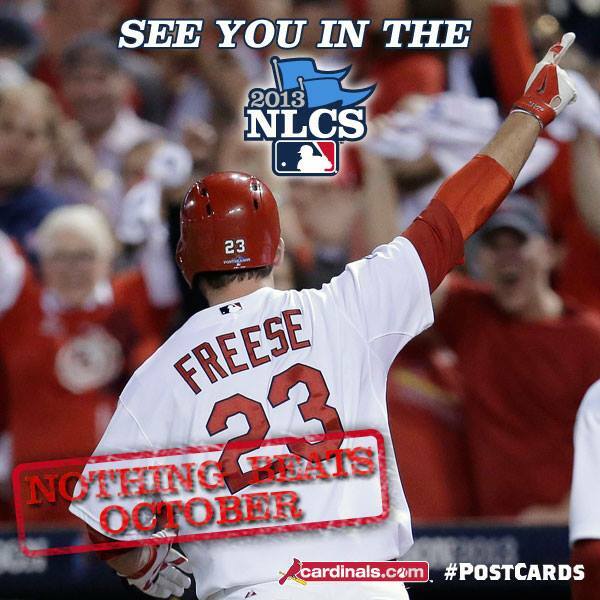 No Strangers to the Postseason…. 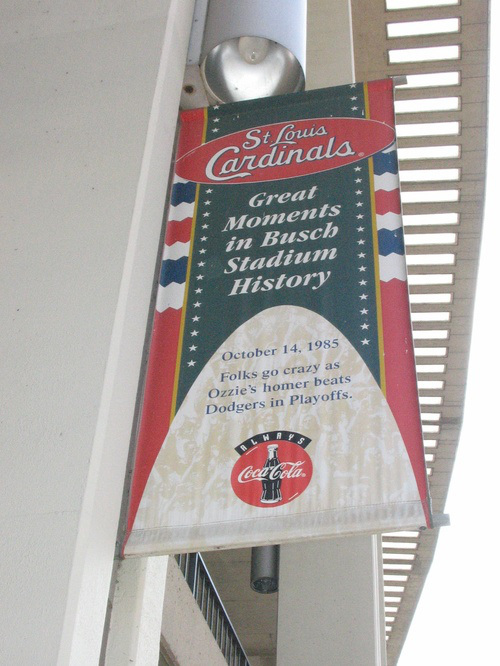 The Dodgers and Cardinals share a rich history between the two when it comes to October headlines. 17 World Championships have been won between these two storied franchises, with the Red Birds winning 11, second most in the majors only behind the Yankees. As said earlier these two teams will be meeting each other for the 4th time in post-season history, twice in the NLDS and NLCS. Both teams have inflicted their share of heartbreak on each other during the post-season…. 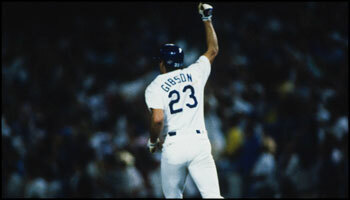 2 of the darkest days of my life as a Dodgers fan occurred within 2 days of each other. And this 11 year old kid certainly did not GO CRAZY after this series…. You had to pick this game to hit your first ever home run from the left side of the plate Ozzie ? That home run by Ozzie would be voted by Cardinals fans as the number all-time greatest moment in old Busch Stadium’s history…. Why did you pitch to Jack Clark ? The question asked in L.A. all winter long in ’85…. My favorite Dodger as a kid, Pedro Guerrero. 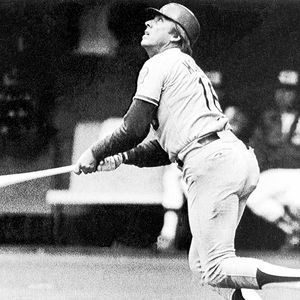 Put up some big offensive numbers for The Blue througout the 80’s , yet my lasting memory is of him throwing his glove down in disgust after Jack Clark’s decisive 3 run home run sent the Red Birds to the World Series against their in-state rivals the Kansas City Royals, in which they would eventually lose in 7 games. ( To any Cardinals fan that may be reading this, yeah, Don Dekinger blew the call at 1st base in Game 6, but having broken the heart of this 11 year old kid 10 days prior, my only feeling was and even at 11 years old… ” Hey Cards fans !!!! Oh well !!! Life’s a B***H isn’t it ? ” . 28 years later those feeling’s haven’t changed….LOL . OK, let’s go outside the yard for a bit. Anyone remember this from 1985 ? After “reminiscing” over my two worst days as a Dodger fan, one out away from tying the series up at one game apiece, Matt Holliday did his best to ” take one for the team…. ” . Cards ace Adam Wainwright feel’s having 50,000 have us waving white rally towels in Holliday’s presence was not fair…. 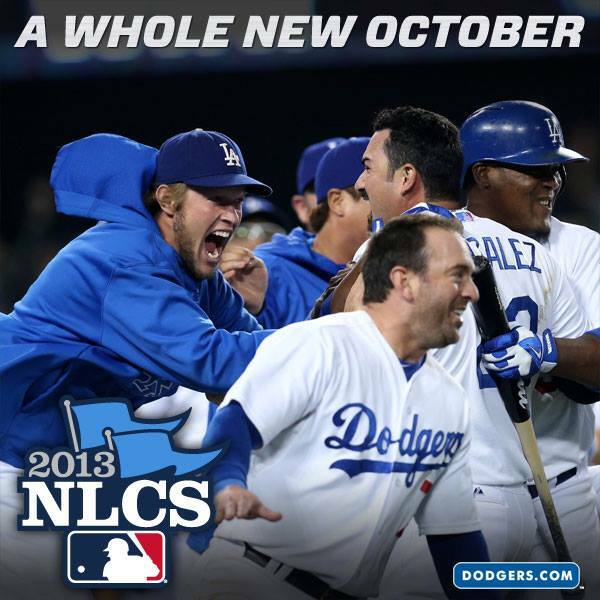 2 days later, the Dodgers would wrap up the LDS, sweeping the Red Birds in 3 games…. 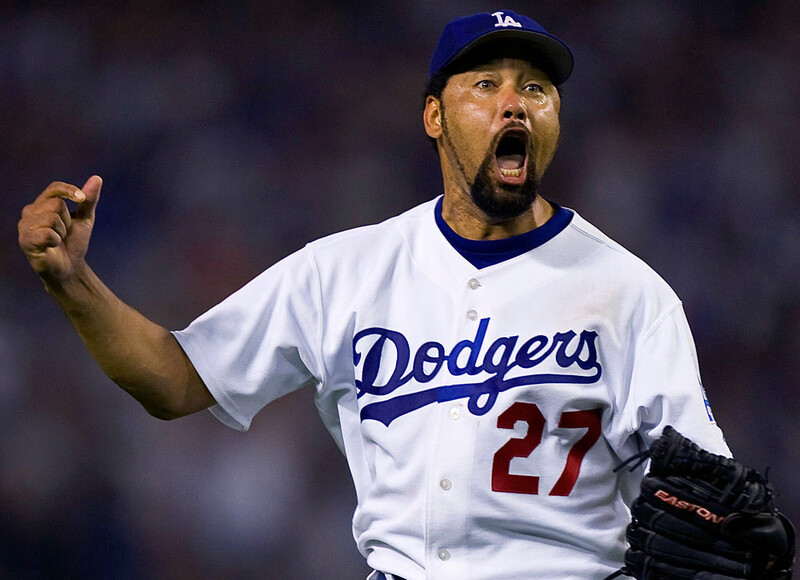 Dre’s Pick… Dodgers in 6.